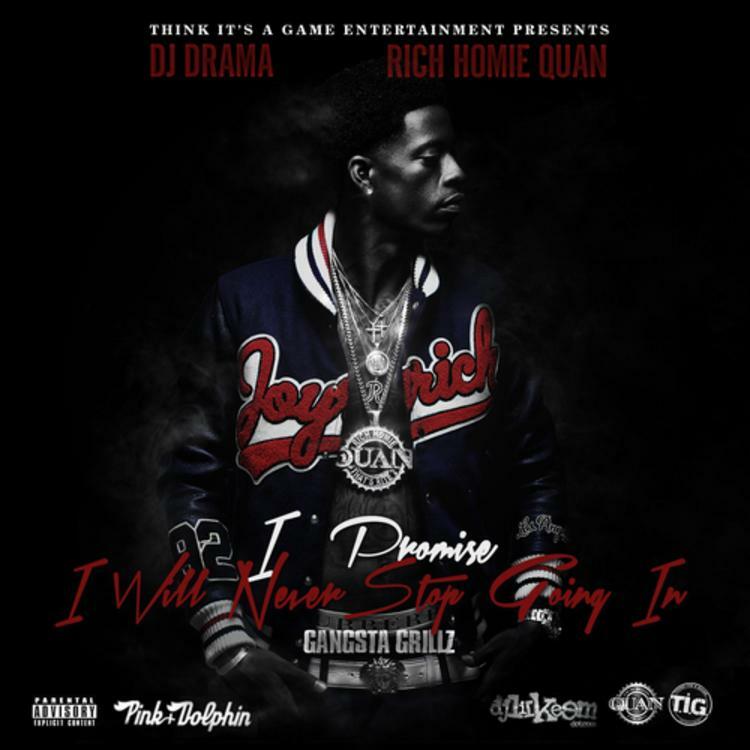 As Rich Homie Quan promised, he's delivered a new mixtape prior to his debut album. 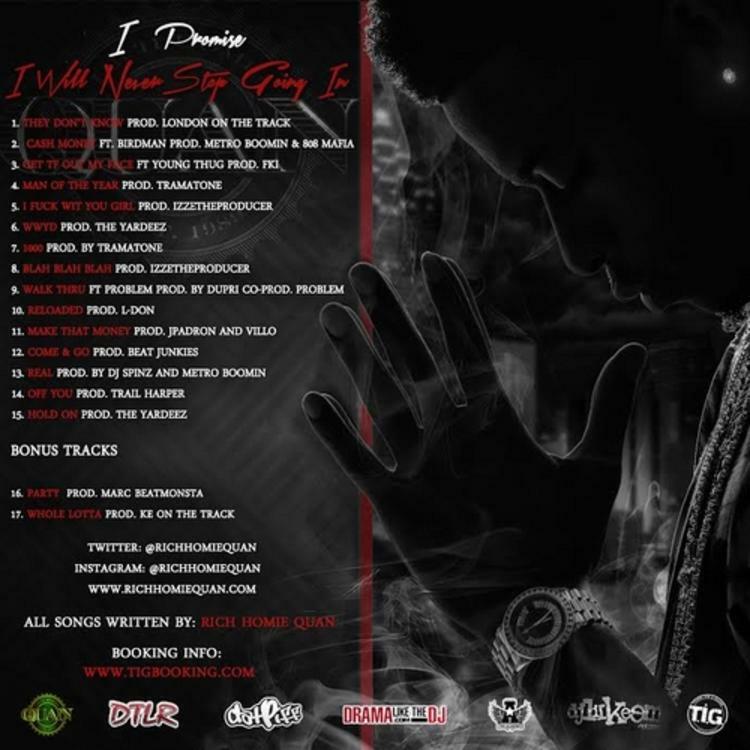 Hosted by DJ Drama, this tape features Birdman, Problem and Young Thug, with production from Metro Boomin, K.E. On The Track and more. 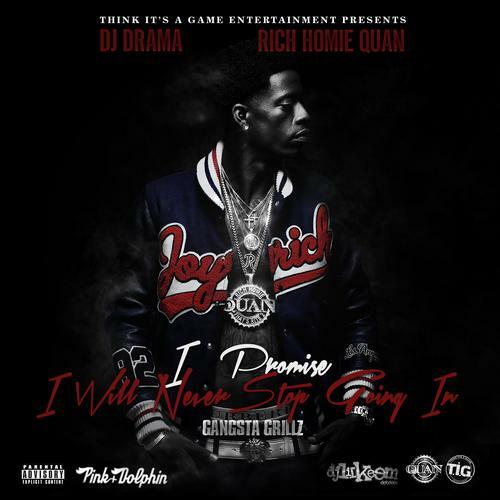 Bump I Promise I Will Never Stop Going In , the latest mixtape from Rich Homie Quan, which dropped on Tuesday, November 26th, 2013. Rich Homie Quan's horizons are broadening with each new release, and I Promise I Will Never Stop Going In is no exception. It's a worthy addition to a catalogue that has seen much growth since Rich Homie Quan stepped foot in the rap game. We're looking forward to hearing more. The following artists contributed to the project: Birdman, Young Thug, Problem. These producers soundtracked the mixtape: London on the Track, Metro Boomin & 808 Mafia, FKi, Tramatone, IzzeTheProducer, The Yardeez, Dupri Problem, L Don, JPadron and Villo, Beat Junkies, DJ Spinz Metro Boomin, Trail Harper, Marc Beatmonsta, KE on the Track. Hear more of Rich Homie Quan on They Dont Know (Prod by London on the Track). If you're feeling this, make sure to hit up Rich Homie Quan's profile page for the latest info, news, songs, and mixtapes. Don't forget to follow Rich Homie Quan on Facebook and Twitter.